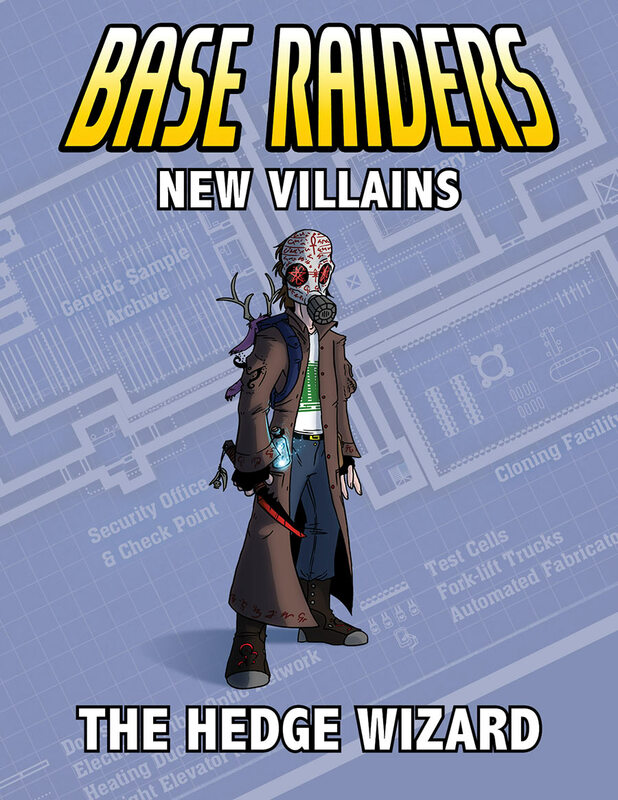 Slang Design is proud to announce New Villains: The Hedge Wizard, our second PDF-only supplement for Base Raiders. Get your copy today! Product Description: An occult serial killer gains power with each murder, using his victims to fuel dark ritual magic. But, instead of humans, the Hedge Wizard hunts supernatural beings, taking their power as his own. No one knows what drives the dark mage or his ultimate goal. It’s only a matter of time before he becomes a danger to humans as well. Someone will have to stop him before he becomes too powerful. 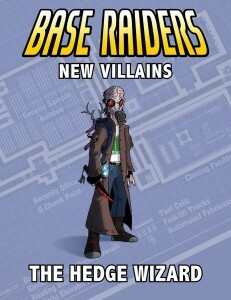 The Hedge Wizard is a new villain for Base Raiders. He is a dangerous foe in battle, using stealth and a powerful enchanted dagger to take down foes before they know what hits them. He can also craft temporary magical items that can provide him with nearly any superpower, making him an incredibly versatile antagonist. He makes an excellent addition to any campaign, as he can fight an entire team of heroes by himself. The Hedge Wizard’s background is simple enough that it can be customized to fit in any existing campaign. Use him as a mastermind or the main henchman of another villain or even just as a single encounter in an abandoned base. This PDF contains a full write up of the Hedge Wizard. It includes his full stats and powers, his tactics and weaknesses, and a scenario seed featuring the Hedge Wizard as an antagonist. You can buy it at DrivethruRPG or at our web store.